To celebrate International Women in Engineering Day, Priya Rai provides us with an interesting insight into her role as a Design Engineer at IG Elements. 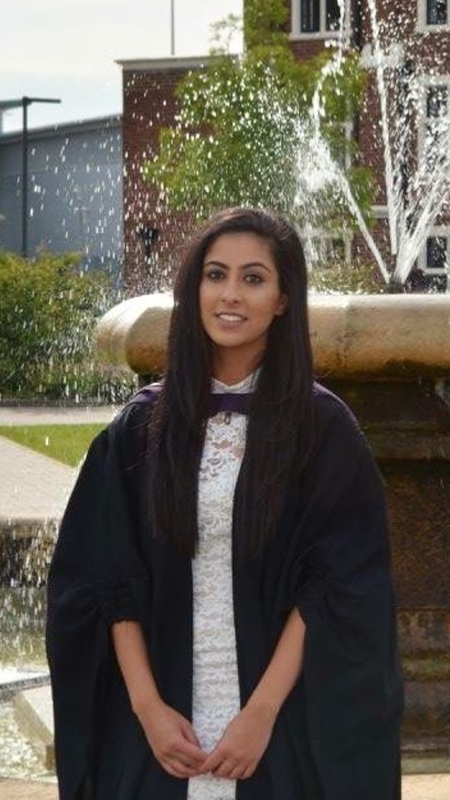 Priya explores what her normal working day involves and the great opportunities there are for women joining the engineering industry. After studying Product Design at A-Level along with Maths, Physics and Business, I decided to continue developing my skills further at University. I felt Product Design incorporated all of the individual subjects I studied and allowed me to utilise my interests collaboratively. Being able to solve problems and find solutions through design is what made me want to pursue this subject as a career. It gives us the opportunity to improve our lives & create better outcomes by challenging what already exists and looking at things from a new perspective. I studied Product Design and Technology BSc at Loughborough University for 4 years. As part of receiving my diploma in professional studies, I worked as a creative designer for a year within a company specialising in POS/retail design. Once I had graduated, I decided that I wanted to broaden my knowledge and skill set by experiencing the technical aspect of design, which is how I came about joining IG Elements as a design engineer. My role involves creating site specific drawing packs for buyers and architects, which provide technical information for the offsite building solutions we provide at IG Elements. Using 3D design software called Solidworks, we take the information provided on customer working drawings and model our products onto their individual structures, in order to provide a realistic outlook of what we can offer them. This process can involve modifying existing products or creating new solutions which better suit the needs of their projects. Liaising with buyers, technical designers and architects at this stage is vital to ensure all aspects have been covered and that they are therefore happy to commence with manufacture. Another task involves creating BOM’s for our ERP system on Microsoft NAV, for all new designs and variations in order for the products to be planned into production accordingly. BOM’s are completed once an internal production drawings has been approved – these log the routing and materials required to make each unit within our factory. For some customers, using GRP within the building industry is a relatively recent development and as such it is important that as a team we are always available to provide technical knowledge and help answer customer queries, to ensure they feel confident with our products and the installation process. I love the experience of working in a fast paced environment and utilising the new skills I have learnt in order to help provide outstanding customer service. I enjoy being able to explore new solutions for the construction industry and helping to design products which alleviate the housing and skill shortages currently in the UK as a result. Having the opportunity to communicate with various customers and suppliers has greatly increased my confidence and knowledge of the industry. Finally, taking on projects and overseeing them independently from conception through to the product being delivered on site is great experience and insight to the complete design process. Being involved in designing new products and watching them progress through to the final outcome is something I value. Before working at IG Elements, I had zero knowledge about fibre glass and over the last year I have learnt a great deal of information particularly relevant to GRP within our sector. I feel the skills and personal progression I have gained in my role can be transferred to multiple industries and provides a great platform for me to further my development. Go out there and explore the opportunities, have your say and make it count.